SteveW wrote: When will the workshop nominees be told if they heve a workshop spot or not? The nominations for workshops are randomly selected (drawn from a hat) by Arboretum staff who are not involved in the bonsai collection, this makes it as fair for all nominees as possible. It would be great to have enough workshop places for all nominees, but sadly this is not possible. The draw will be happening this afternoon. I expect to be able to notify all nominees soon after. What is the names of a afew hotels close by? I cannot remember the names of the last ones we used? Everything is close in Canberra. The Belconnen Premier Inn is close, as is Mercure. But really, anywhere will only be about 15 minutes away. There appears to be some confusion about this display. The Arboretum were simply providing a display space (rent free) and marketing (also free) for the potters to organise their display. All of the organisation in the past had been done by the potters. This year it is not happening as there was no approach by the potters in time. Leigh is on a well deserved break till Monday; let him have a break. Thanks Leigh,oh what a shame,the potters have gone potty, I have been down there twice and to me it was the highlight of the week . Sometimes I sits and thinks and sometimes I just sits. It has been wonderful to see the ceramics there the last couple of years. I understand it was up to the potters to organise it all which I’m sure was a lot of work. It had to be organised between them all including the logistics of transport, keeping an eye on the exhibit and getting all the pots back home. Because it is a government facility they could not offer any for sale, so all was done on there own steam. They should be well commended for their efforts and for their amazing work. I for one, would love to see a place I could go to and browse work from our amazing Aussie ceramic artists and be able to purchase some of their wares. Last edited by dansai on February 4th, 2019, 4:41 pm, edited 1 time in total. It has long been debated among the various potters, and I do not want to enter into any further debate on it here, but all potters were offered to sell their wares in agreement with the gift shop at the Arboretum. The gift shop had every right, as per their contract (which was struck well before any pottery display was ever conceived as an idea) to ask that any sales were to be done via them, either by way of consignment, or as other exhibitions have done in the past, as a simple exhibition sales arrangement. So, it can be done, but it might mean that the buyer will have to wear an increased cost so that the potter does not lose too much money in commissions or sales fees. I would have loved to be a part of the Bonsai Potters Exhibition at Bonsai Week again this year. Unfortunately I wasn't aware we had nobody lined up to organize it or I would have put my hand up. The Curatoreum gift shop has every right to sell on commission and I'm sure some potters have, or would have, taken them up on the chance to sell their work. I would like to put my name forward NOW to organise another exhibition for Bonsai Week next year. It is such a shame that the need for an organiser wasn't advertised amongst those of us potters who participate each year. If Leigh and his staff are happy to have a Potters Exhibition next year, I am sure we can organise something given the huge lead time. Paul W - most of us Potters WILL be at the Melbourne Convention!!! Bookings for the Friday events are coming in thick and fast. Just a reminder, the Friday afternoon discussion forum is limited by numbers. Once we hit our limit, we will not be able to take any more participants. Some of you may recall I asked the forum for suggestions for future Bonsai Week international artists. There were a couple of suggestions of female artists. As you can see, I took notice, and have put together an all female bill for this coming Bonsai Week. Other than being a quality artist, it is also important for me to select an artist that has the ability to help us with the promotion of the NBPCA. You may have noticed that the artists I have selected in the past all have quite large digital foot-prints. They are busy on social media, and have high profiles online. They may write articles for magazines, and are very active on the international scene. This is important to help achieve our goal of international recognition for our National Collection and Australian Bonsai Community in general. This taken into account, we are always open to other's ideas for good artists to invite into the future. Who do you think would fit the bill? Who would you like to see, or partake a workshop with? 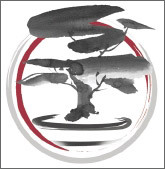 With just 3 weeks till Bonsai Week getting underway, I am hoping everyone that is coming from interstate have been able to make arrangements so as to not miss out on this great event. Ticket sales for our Friday events are selling a lot quicker than in previous years. Please keep in mind that the afternoon discussion forum and critique is limited by numbers, so get in early to avoid disappointment. If you are one of those people that love to leave things till the last minute, I thought it best you know when the last minute is! Just so you don't miss out! Bookings for the Friday evening event during Bonsai Week - "Bonsai After Hours" will close at 4pm Monday 25 March. There will be no opportunity to purchase tickets after that time due to the requirements from our caterer. So, just like last year, we cannot accept "walk-ups" on the night. The Friday afternoon critique session had a wonderful view and silhouettes of beautiful bonsai. Last edited by SteveW on March 30th, 2019, 5:14 pm, edited 1 time in total. A little unfortunate that the venue had such a great window behind the speakers. backlight made it quite difficult to see details of the trees they were talking about but a few good ideas were offered on styling, etc. Heike and Sandra decided to work as a team in order to give more attention to the workshop participants. Heike with 4 and Sandra with the other 4. After lunch, swap to give each person the benefit of both visitors. I think everyone completed one tree in the morning and another in the afternoon under guidance from each of the visiting ladies. Both visitors spoke excellent English but after a couple of hours Rudi and Sandra discovered they both spoke German and were able to better discuss bonsai intricacies in a common native language.